I had a 2-pc pancake and hot chocolate breakfast at McDonald’s Adriatico. Then I asked for a newspaper. It just seem unnatural. It’s been a long time since I read a broadsheet hardcopy. I used to just read the news on their online websites and on news portals. This just seemed so unnatural but it’s really nice to read again – the way reading should be – then. Hahahaha. Today is a Special Non-working Holiday and I am at work. That somehow seemed funny. One thing about reading a newspaper – it’s full of opinions. When it should be reporting just news based on gathered truth – it’s filled with opinions. We all are entitled to that. I have my opinions too. But being a Christian, it’s also important for me to see through the opinions if they are even confirmed or validated by God’s word. Tough job indeed. After work, I went to the groceries. Bought some things. Head home. Rest for a bit. Cleaned the room with my Cyril and Czarina. 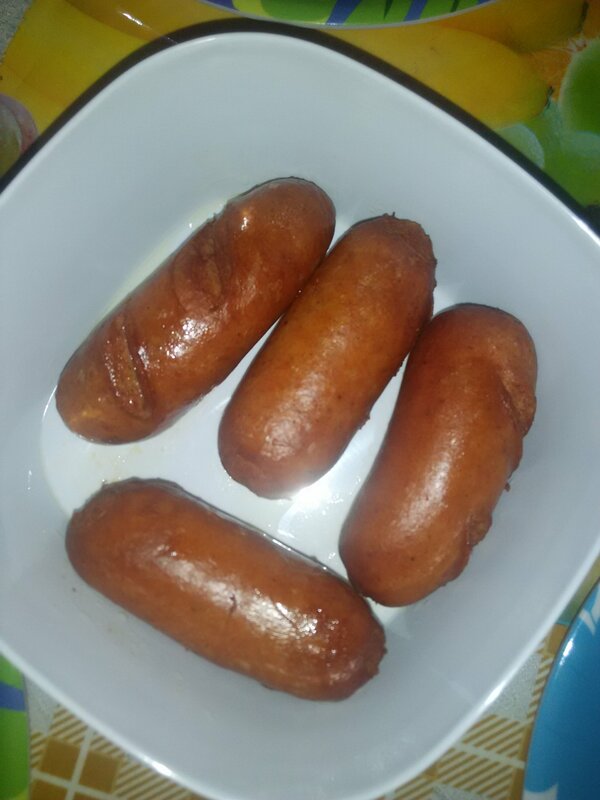 Cooked hungarian sausages. Had dinner. Spent some more time chatting with my wife. O yes, I also cleaned the rags. Will be praying and retiring to bed after.